Flowers are not merely a beautiful creation of Mother Nature and symbolic of love, passion and youth, but, are also deeply associated with many legends and myths. In some cultures, flowers, such as roses, are considered a representation of love and romance, while, in others, flowers like wolf’s-bane are considered to be powerful deterrents for vampires and werewolves. A tender flower bud represents youth and pleasure, while, a flower that is wilting is representative of death and sorrow. Even the shades of flowers carry different connotations, like, red flowers are symbolical of energy and blood. White blooms are symbolic of purity. Let’s take a look at the top 12 mythical flowers that are showcased below. Lady’s Mantle is one among the most famous mythical flowers to have existed before the 18th century in Europe. The flower is also called Alchemilla mollis and features leaves that look like cups. The flower captures your attention with its leaves that collect dew and always look beady. Lady’s Mantle was considered to be a plant that possessed magical powers by the European alchemists in 18th century. The beaded dew collected in the flower’s leaves was considered to have possessed magical properties. The alchemists collected the dew from the leaves and then used the dewdrops to experiment on base metals. It was believed that the dewdrops of Lady’s Mantle could transform base metals to gold. In some myths, the dewdrops of this flower were also used in preparing magic potions. Here are some interesting Wolfsbane plant myths you all must know. Wolfs-bane was considered a poisonous plant that deterred werewolves, and was known to kill the vicious creatures with its deadly poison. According to folklore, this plant was used as a repellent against werewolves by people. If smelled or eaten, it had the power to kill a werewolf. Wolfs-bane was also considered deadly for vampires and we find mention of it in many vampire related folklores. According to myths, this plant was believed to have powers that worked against vampires. It was used as a protective shield to protect against vampire attacks in Europe. Apart from being used against werewolves and vampires, this plant was also used to make ointments by witches. If you read any folklore, rose will definitely find mention in it. Its a flower that has many representations in myths and legends. Rose is considered a symbol of love, passion and romance. In many cultures, it is associated with gods and divinity. In Greek and Roman mythology, rose was considered divine. As per Greek mythology, Aphrodite, the Love Goddess created the red rose. In Persian paintings and poetry, it was connected with the nightingale. In one such poem, Allah gave the name ‘Queen of Flowers’ to the white rose. There is one variety of rose called Moss Rose that is believed to have deep association with Jesus Christ’s blood. 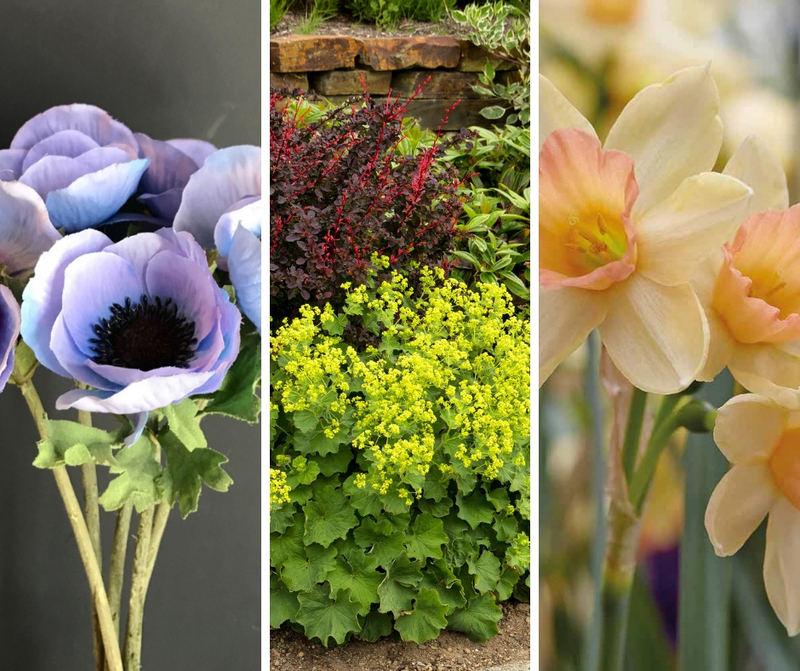 If you are wondering why we have just mentioned Narcissus in this list of magical plants, then, let us explain its mythical history. According to an old myth from the ancient land of Greece, Narcissus was not a flower to begin with. He was a very handsome young male who was in love with himself. Narcissus lacked emotions and was unsympathetic towards everyone. His rude behavior earned him gods’s wrath and was cursed to fall in love with his own reflection. The Goddess Nemesis led Narcissus to a pool where he got fixated with his own beautiful reflection and lost his mind. At the spot where Narcissus fell head over heels in love with himself, grew the Narcissus flower named by the nymphs. The bright yellow colored Sunflower, too, has mythical roots like the above mentioned flowers. In Greek mythology, the sunflower’s nemesis is Clytie, a water nymph who was also a Babylonian princess in other folklore. She fell in love with the Sun God Apollo, who, soon got bored with her. Clytie remained in love with Apollo. Legend has it that Clytie, in order to watch the god, would turn her head slowly like the sunflower, every time Apollo rode his sun chariot. This continued for ages until finally the gods turned her into a sunflower. Regarded as a powerful magical herb, the Wolf’s Claw was used extensively by Celtic Druids who used it for treating ailments like cramps, diarrhea and rheumatism. The flower was called Selago by ancient people of the stone-age and was used by magicians who used its oily and yellow colored spore dust to perform magic stunts on flames. In the middle ages, women used this flower to protect themselves from spells and sorcery. One can find mention of cornflower petals in herb folklore. According to one folklore, its petals were used to make a concoction that was used as an eyewash as well as mouthwash. Cornflower petals in dry form were also used as an antidote against scorpion’s poison and all other kinds of venom. Many people believed that by consuming cornflower’s seeds and leaves with wine, they could treat themselves against plaque. The flower was believed to have healing properties and was used to treat wounds and ulcers of the mouth. The poisonous Henbane plant is deadly to both human beings as well as animals. It was in use in ancient Greece during the time of Pliny. It is associated with gods in Greek mythology. Ancient Greek people called Henbane by a different name – Apollinaris. This plant was considered holy and was associated with God Apollo. As per the views of modern day scholars, this plant was used by the oracle priestess named Pythia who gave her prophecies in a drunken state. Natives belonging to ancient Germanic tribes used this plant in carrying out their rituals. Even the Celts as well as Romans were believed to use Henbane. But, in all the accounts, whether ancient or Medieval, Henbane was always described in a negative way. To most people, the plant smelled of death, and was considered quite appalling. The name of Anemone has to be mentioned in this list of mythical flowers as this plant has a deep association with ancient Greek myths. According to Greek mythology, red anemone was the flower that was born with the death of Adonis. Legend has it that Adonis was loved by Persephone as well as Aphrodite, Greek goddesses. He was stabbed by a wounded boar’s tusks when he went hunting one day. Hearing his cries, Aphrodite rushed to save him and saw him bleeding profusely till he died. At the spot where his blood drops fell, there grew red anemone flowers. Later, the Christians symbolized anemone with the blood of Christ that was shed when he was crucified. The ever sacred and holy Lotus Flower is deep-rooted in mythologies of different cultures and civilizations. According to Asian myths, Lotus was depicted as a personification of female sexuality and fertility. The Hindu people, since time immemorial have always worshiped gods and goddesses by offering Lotus at their feet. They believed that Lord Brahma, the creator of the universe was born out of a Lotus. Even Buddhist mythical stories of Buddha mentioned Lotus. The Egyptians linked the Lotus Flower with their Goddess, Isis, who was believed to have been born from it. Oregano is much more than just a herb used for flavoring cuisines. It finds its origins in Greek mythology. In Greek, Oregano means ‘joy of the mountain’. According to Greek legends, oregano was in fact a creation of Aphrodite, the goddess of love who created the spicy scented oregano to symbolize happiness. This herb was used as a garland in ancient Greece to bless couples during marriages. These herbs were also placed on tombs for the peaceful journey of spirits to the afterlife. In most ancient folklores, Linden appears to have a close connection with the goddess of love, truth, life and fortune-Freya. Linden is also called lime tree, a tree that was considered sacred by the ancient Germanic people. The Linden Tree, in myths, was worshiped and was regarded as a symbol of peace. Such was the power of Linden Tree that it could never be destroyed by lightening.